We arrived in Nukus in the afternoon, after 17 hours of very comfortable train travel. Definetely the best train beds so far, complete with an extra mattress and full set of bedding. Our only complaint would be the locked cabins (freaky) and the way too early wake-up. 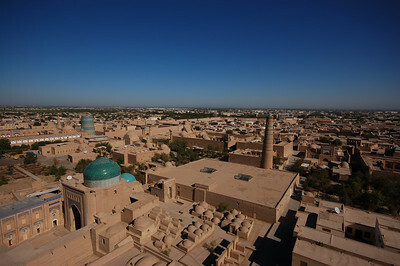 Nukus is the capital of Karakalpakstan, a large desert area, making up most of northern Uzbekistan. We booked the train all the way here with the idea to travel to Moynaq, a former fishing village, now serving as a testament to the man-made ecological disaster, the shrinking of the Aral Sea. Not disapperaed completely, but now shrunk to less than one third of its original size, its water diverted to cotton fields all over Central Asia via desert canals where 70% of the water is lost to evaporation. The Aral Sea was one the fourth largest lake in the world. Karakalpakstan has suffered, not only on an economic level, its population is plagued by respitory and other health problems related to the desertification of its territory (see www.udasa.org). Today tourists head to Moynaq to photograph a handfull of ships, landlocked in sand, with the banks of the Aral Sea now a 7-8 hour drive away. 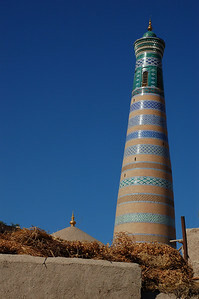 Nukus was hot and dusty, we knew of two hotels in the city and we headed first to the cheapest of the two. We were offered a passable room for about 20$, more than we had ever paid for a room. After attempts at negotiation, we were offered dorm beds on the 7th floor (no elevators), for a small discount. The giant Soviet hotel was clearly nearly empty, but we still couldn't get a room at the 'Uzbek' prices posted on the sign. We left for our second and final option, the Hotel Nukus. Friendlier staff, but equally high non-negotiable prices. Already questioning our decision to come to Karakalpakstan, we hailed a taxi to the bus station and hoped there might still be something heading to Khiva (4 hours away). The bus station was basically deserted, save for a few taxi drivers hoping to make their monthly salary by driving Yann and I to Khiva. We sat on the curb dejected when a rickety old bus pulled up and saved the day. For about 2$ each we were on our way to Khiva (after waiting a few hours for 2 other passengers to show up). Other than a strange checkpoint stop involving a large suspicious package that was being transported in the bus (involving...surprise surprise...a bribe), the trip was rather uneventful. 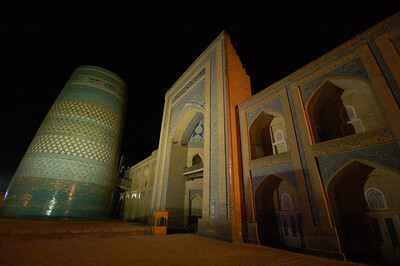 We didn't get to Ichon Qala (Khiva's old city) until well after dark however. The manager of one of the town's more expensive hotels called around until he found us a hotel in our price range, which we felt was quite a generous gesture. The owner of the cheaper guesthouse even came over to meet us and take us to our new place. We walked together through the quiet old town, admiring its towering medressahs and illuminated minarets. We settled in our quaint family home right beneath the tallest building in the old town, the Islam Huja minaret. The next morning we began the visiting of the dozens of Ichon Qala buildings. We began by buying the rather expensive entry ticket, covering admission to most of the buildings, of course the interesting ones require an additional fee (including climbing any of the minarets or city look-outs). Khiva tourism dollars seem to be tightly controlled by the Ichon Qala residents, who wear photo identifications around their neck, permitting them to run their stalls or collect admission charges. The result of this is a town devoid of any real life or character. Each resident manning a ticket check, seems to get the privelege of sprawling their souvenirs all over the entrance to the buildings, usually blocking the ornate entrance gates. Not only can you not admire the sights without tourist clutter, most of the attendants proceed to follow you around attempting to sell you things as you visit. Our absolute favourite Khiva eyesore had to be the giant stuffed tiger on which you could sit and have your picture taken. It was stragegically placed in front of a medressah gate, making a tiger-less photo quasi-impossible. 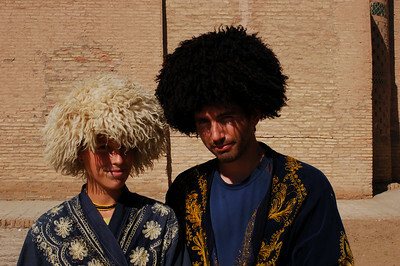 We resisted riding the tiger, but we did dress up as Khiva Khans... During the day, mainly tour groups ply the narrow city streets. Yann and I were determined to make good of our admission tickets and set out to visit each 'museum' housed in the various buildings. Apart from the tour group highlights, these 'museums' are painfully neglected , as we entered doorways, we often ripped through cobwebs blocking our passage. Could it be the attendants spend too much time trying to sell crap to tourists and not enough time keeping their museum exhibitions dust-free? 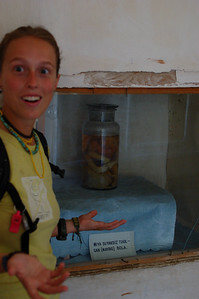 We did however really enjoy the human foetus alongside the jars of baby sharks and fish. There were some actually decent museum exhibitions, mostly the ones containing old photos from the days of the Khiva Khanate. The days of slave trading, public executions and huge fur hats (for your information you can now purchase such wonderful hats, there is a lovely display hanging gracefully across Kalta Minor Minaret's base). But tourist clutter and the feeling of a deserted city, the buildings of Ichon Qala were nonetheless enchanting. Early mornings and late evenings we could explore the city with the tourist stalls not set up yet, or packed up for the day, when the town was actually supposed to be empty. That's definetely when we enjoyed the city the most. 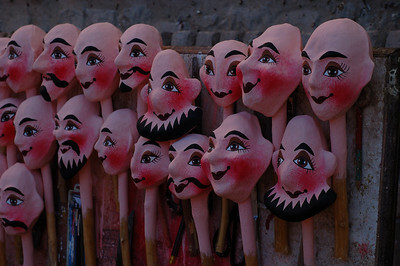 About those Khiva Khans disguises. Is it just me or do they look A LOT like the Wicked Witch of the West's guards? (Wizzard of Oz) Hm....?? 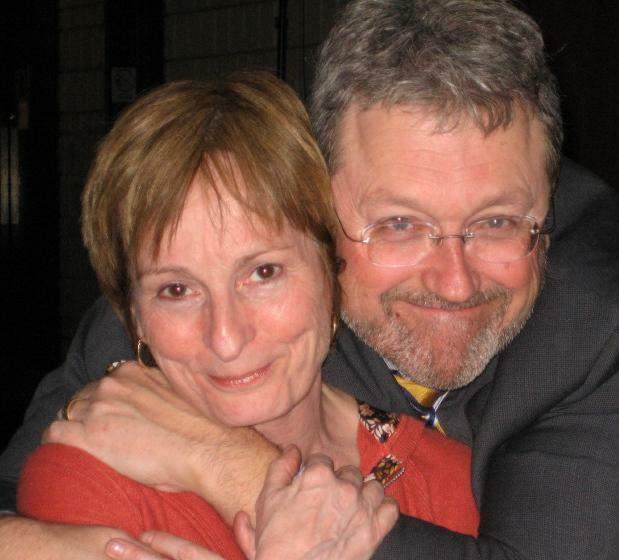 I'm looking forward to a picture of your new traveling companion.